Since the late 1970’s Van Woerkom, Nobels & Ten Veen is involved in a vast variety of marine transports and associated subsequent inspections; eventually this has led to our dedicated department WNV Warranty Services. 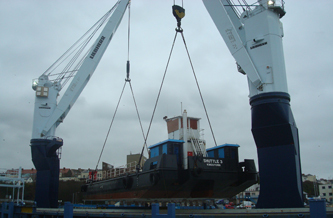 Acting on behalf of owners and underwriters we approve worldwide towage and stowage transports. 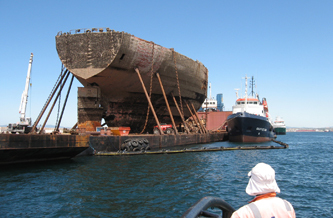 During the years we gained experience in reviewing and accompanying the marine and inland water transports of amongst others new building hulls, offshore units, semi-subs, all sorts of dredging vessels and equipment, harbour and container cranes, etc. Not only with oceangoing transport projects, but definitely also with delicate short distance or coastal transports we are highly familiar. To conduct transport inspections worldwide and to provide our consultancy and input professionally a team of well-trained surveyors is available. Because of this broad surveyors pool and because of our almost continuous in-field worldwide presence we are able to respond fast and efficiently. For each unique transport during the engineering, design, preparation and actual transport stages we work from a project team where at least 2 surveyors and an office based assistant are part of. We consider our job not finished after issuing the (s)towage approval certificate, but follow the transport and provide assistance up to its completion. Final and most important goal of our involvements is a successful fulfilment of the transport. Unlike other work methods in the marine warranty industry our approaches are practical and down-to-earth, combined with a theoretical background, always keeping in mind that the entire transport should be carried out with the maximum achievable combination of reliability, safety and efficiency. After thorough preparation and positive inspections of tug and towed object and subsequent approval of the spread, a Towage Approval Certificate will be issued. It is common practice and normal procedure for WNV to set and discuss clear and realistic conditions and recommendations for the towage. Only after successful delivery our involvement stops; throughout the entire voyage we monitor and advise the tow. 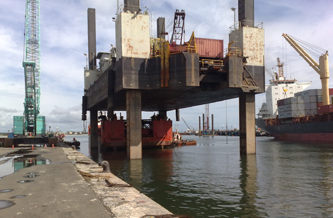 Project teams or main contractors for long-lasting windfarm / offshore geotechnical research projects often request us to advise on project towages of for example Self Elevating Platforms, Jack-up barges or other project related equipment. For these circumstances we developed a special methods and certificates. 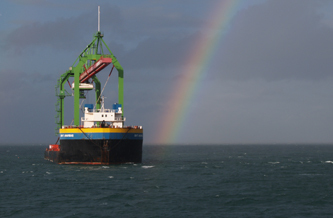 Throughout the years we have prepared many towage manuals for various vessels and various backgrounds. In some cases these were intended to meet local or statutory requirements and in other cases to give a guideline to crew and management when preparing an object. More and more offshore projects and windfarms require a review of procedures and method statements. We have already acquired a lot of in-depth expertise in this fairly new market and can meet the industry's high expectations. Some special projects which we were recently involved in include reviews of pre-loading during jacking, assessments of survival conditions for offshore drilling units and the endorsement of method statements in the offshore industry. 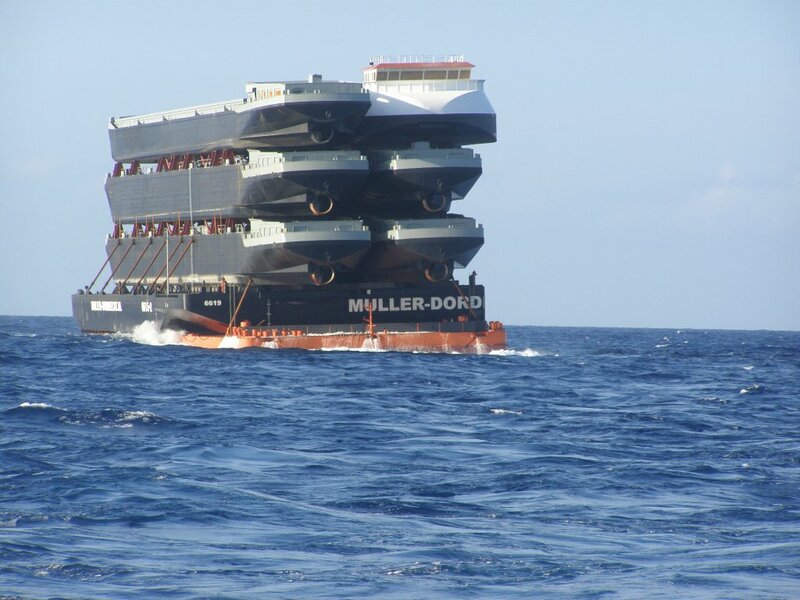 We are highly qualified to advise clients about selecting the correct equipment for transporting units on their own keel or as cargo as well as for general towage and stowage jobs. WNV has a wealth of in-house knowledge of towing gear, stowage possibilities and solutions, hoisting plans and bollard-pull capacities and requirements. To render this service professionally we keep a database from which we can draw specific information to suit your needs.